The Hayloft Gang re-aired July 1, 2014. Narrated by Garrison Keillor, The Hayloft Gang tells the story of a changing America through the lens of one of the nation's most popular country music radio shows during the 1930s and '40s: the National Barn Dance. 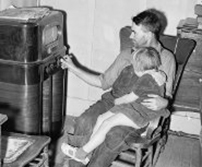 While the nation underwent massive industrialization, experienced the rise of big business, the influx of immigrant populations and the cultural upheaval of art forms like jazz and the blues, the National Barn Dance broadcast folksy, friendly melodies, recalling the barn raisings and square dances of an idealized rural America. A precursor to The Grand Ole Opry, the National Barn Dance helped shape an identity for a rural America coming to grips with changing times. The Hayloft Gang: The Story of the National Barn Dance, a one-hour documentary, weaves rare performance footage, home movies, and candid photographs with firsthand accounts from fans and performers. 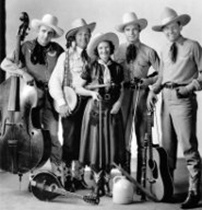 Interviews with historians, folklorists, and media experts reveal historical and cultural perspectives of this unique period in America’s history.For rural citizens unsure of the future or homesick transplants confronting the city, the National Barn Dance served as a touchstone, from its first broadcast in 1924 to its last in 1960. Reaching a national audience, the radio program served as a marketing pioneer, making millions for network sponsors like Alka Seltzer. Moreover, it launched national superstars such as Gene Autry, Patsy Montana, Bradley Kincaid, George Gobel, Pat Buttram, Andy Williams, and Lulu Belle & Scotty. While relating the stories of The Hayloft Gang's most compelling characters, the film is organized around the following key themes: the commercialization of local and regional culture; the conflict of an old agrarian America challenged by a new, heterogeneous, urban one; and, finally, what scholars call the “search for a usable past,” in which The National Barn Dance drew on a rural heritage to give solace to its audience in the face of the Great Depression and World War II. Within this social, cultural and historical context, viewers gain a greater understanding of the significance and impact of the National Barn Dance and its role in shaping American music and popular culture. The Hayloft Gang: The Story of the National Barn Dance is a co-production of Hayloft Gang Productions, LLC and the Independent Television Service (ITVS), produced in association with Kentucky Educational Television (KET) and is presented by WTTW National Productions. Check out the winning entries from The Hayloft Gang Video Contest. Learn about the original songs and artists from the radio show. Read the latest news and sign up for the newsletter. Listen to interviews with the filmmaker. © Hayloft Gang Productions, 2015. All Rights Reserved. Photos courtesy of Nancy Hurt-Perrigo and the Library of Congress, Prints & Photographs Division.